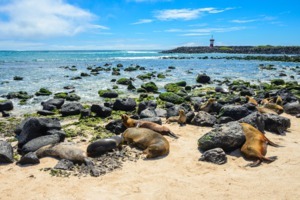 'Once in a lifetime' is a hackneyed phrase in travel writing, but in the Galapagos it really does ring true. 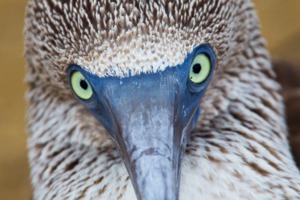 Exploring this remote Pacific archipelago is like travelling back in time, to an era before humans; all but four of the islands are uninhabited, populated instead with an exotic array of bizarre and prehistoric-looking creatures. Each island is an evolutionary laboratory where Darwin's theories play out in real time, each with its own subtly different flora and fauna. 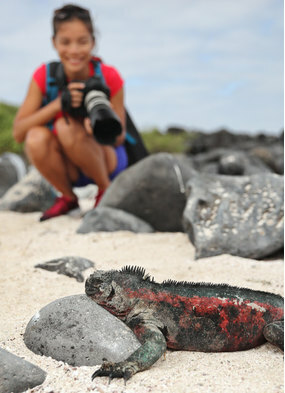 Travelling to the Galapagos is already a privilege, but doing it with Silversea is the icing on the cake. 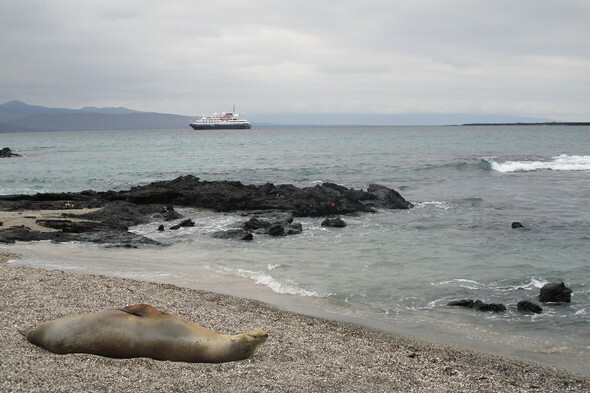 We spent a week exploring the western islands on the 100-guest Silver Galapagos, the smallest ship in the Silversea fleet. 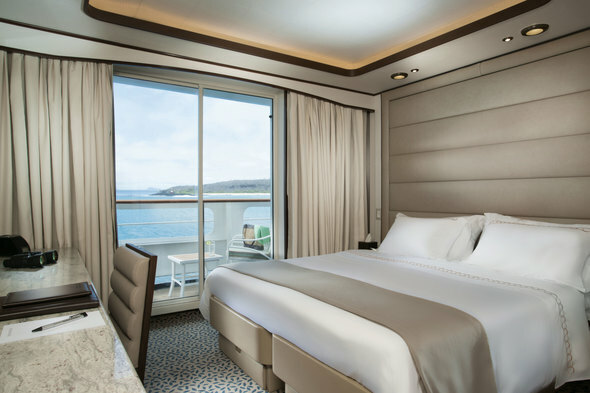 She's also one of the oldest, due to be replaced in 2020 by the recently announced Silver Origin, although I was still impressed by the ship's modern décor and comfortable suites following a 2017 refurbishment. 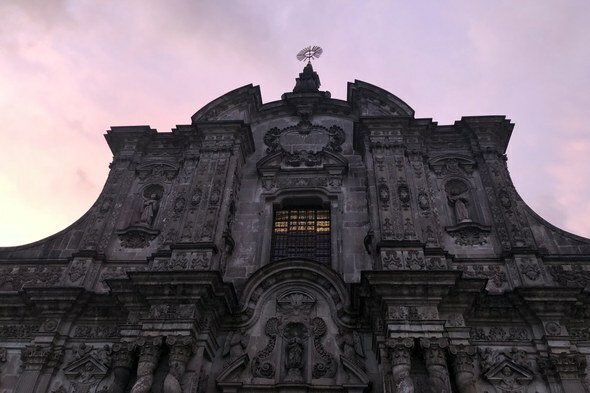 Before we arrived in the Galapagos we spent two nights in Ecuador's charming capital, Quito, including a special 'Quito by night' tour laid on by Silversea. Quito is one of South America's most likeable capitals, with highlights including the magnificent baroque Church of the Company of Jesus and the colourful colonial buildings of Calle La Ronda. 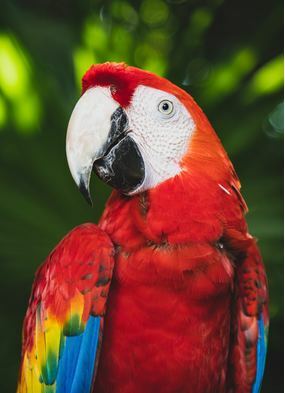 It's well worth spending a couple of days here before or after your cruise, and I would recommend incorporating the Galapagos into a longer South America itinerary, perhaps taking a detour into Peru to visit Cusco, Machu Picchu and Lake Titicaca. From our hotel in Quito it was a smooth transfer to the airport, with glimpses of snow-capped Cotopaxi volcano en route. 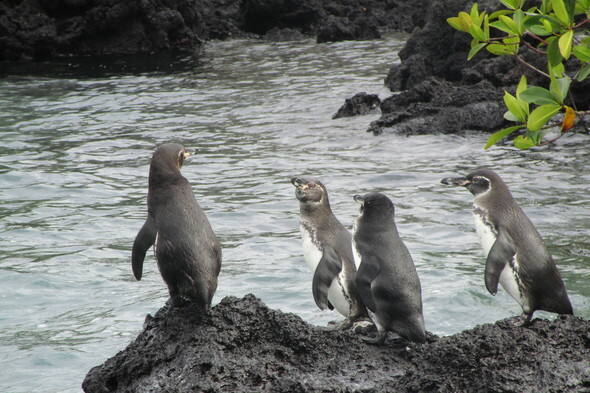 After a speedy check-in facilitated by Silversea it was just a couple of hours' flight to the Galapagos and a different world entirely. On first glance, San Cristóbal island appeared barren and lifeless, a gnarled landscape of volcanic rock and patchy vegetation. 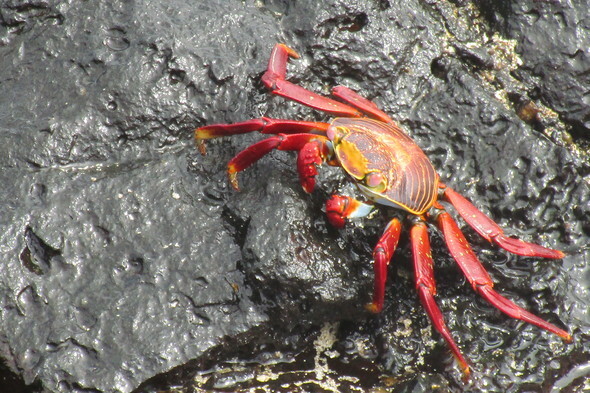 As we waited to board the ship, however, we spotted sea lions lumbering up the beach, frigate birds circling overhead, and bright red Sally Lightfoot crabs scuttling across the rocks. 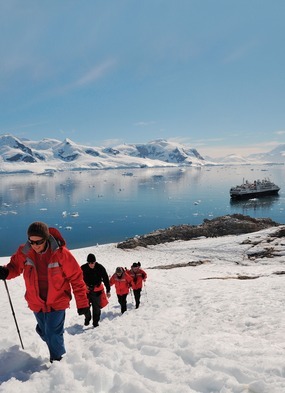 This was my first ever expedition cruise, and over the next seven days we were treated to an action-packed programme of nature walks, zodiac cruises, deep water snorkelling and kayak excursions, as well as time to enjoy the fantastic food and drink on board the ship. There was also an excellent programme of lectures, explaining some of the science and history behind what we were seeing each day. 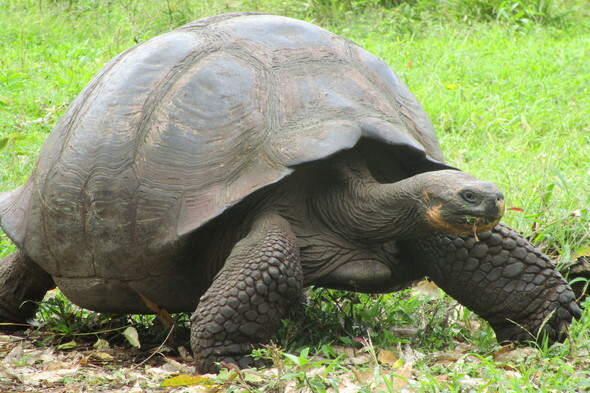 As you would expect, tourism in the Galapagos is tightly regulated, with a limited number of landing sites. All landings are by zodiac (a type of motorised rigid inflatable boat), so you need to be reasonably fit; some landings are 'dry' (ie. at a jetty or pier) and some are 'wet', where you land on a beach and hop out in the shallows. The highlights were almost too many to mention. 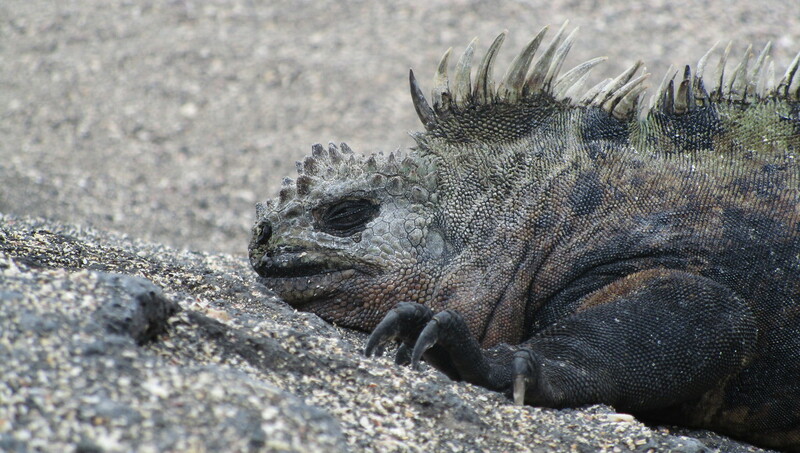 On the black rocks of Fernandina, the youngest of the islands, we saw dozens of marine iguanas piled up on top of each other, soaking up the sun and blowing saltwater out of their specially adapted nasal glands. 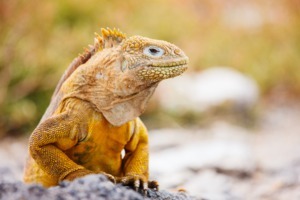 These remarkable creatures are the world's only seafaring lizards, the descendants of land iguanas who washed up here thousands of years ago. 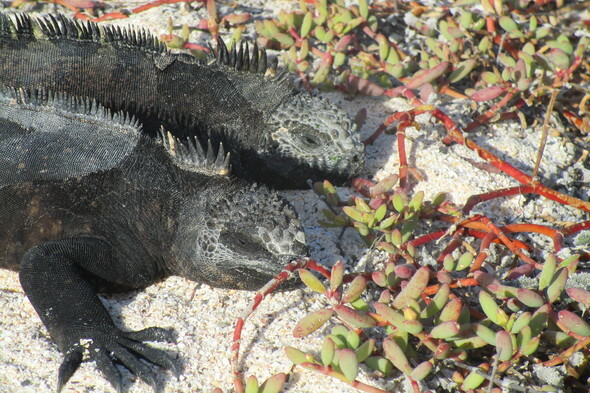 The Galapagos have never been connected to the South American mainland, so it's believed that land-based species such as iguanas must have travelled here on natural 'rafts' made of vegetation, swept out to sea by storms or tsunamis. 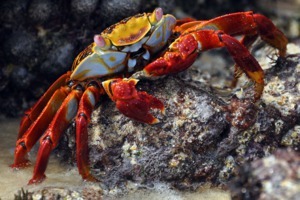 One thing I hadn't realised before visiting the Galapagos was just how much of the wildlife is under the water. On day three we went snorkelling off the side of a zodiac on the northwest coast of Isabela, and the moment we hit the water we were surrounded by inquisitive sea lions and dive bombing pelicans. Under the surface was a veritable aquarium of tropical fish and sea turtles, with penguins and flightless cormorants zipping past like torpedoes. I've never experienced anything like it; the sheer abundance of nature here is astounding. On Floreana we walked barefoot along a wonderfully soft white sand beach, where turtles and stingrays swam in the shallows, then stood rapt watching flamingos feeding in a saltwater lagoon. 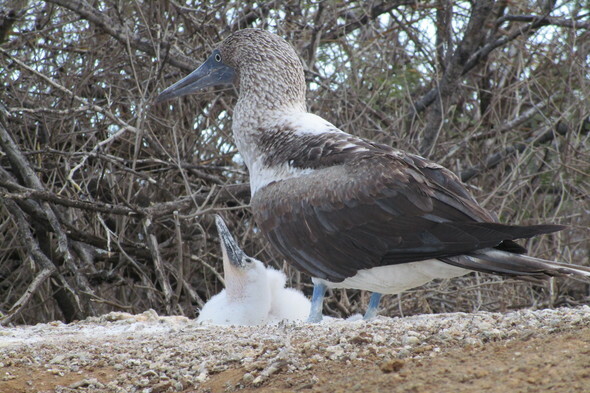 On the way back to the zodiac we spotted one of the Galapagos' most recognisable species, a blue-footed booby, perched on a cliffside feeding its chick. In the lush highlands of Santa Cruz we visited a giant tortoise reserve, where the fields were full of huge domed shells rising out of the grass. At another landing site we wandered through a surreal cactus forest where dinosaur-like land iguanas lurked in the undergrowth. 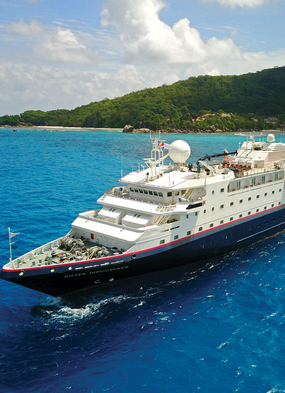 An expedition cruise is all about the destination, and this came across on board the ship, with delicious Ecuadorian specialities on offer at the restaurants every day, including creamy encocado stew and zingy ceviche. 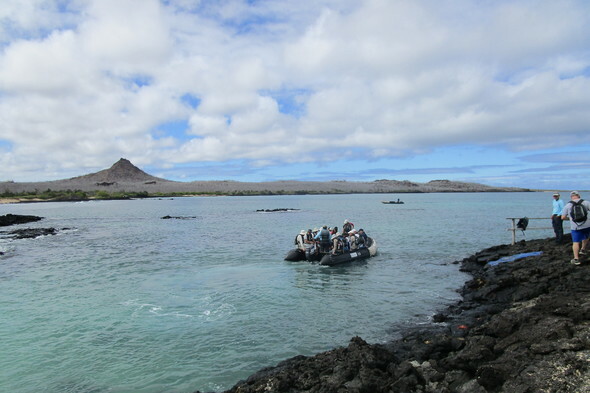 But it's also all about the quality of the expedition team on board, and the guides on Silver Galapagos were outstanding. * The crew ate them all. 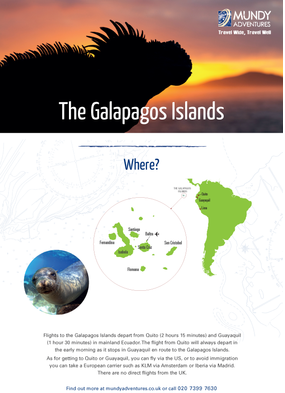 Our Galapagos guide contains everything you need to know about these wonderful islands, including when to visit, how to get there and where to spot the archipelago's most iconic wildlife.